One of the most interesting and most exciting experience is rafting through the canyon of Tara river, the experience that will remain in permanent memory to all who had experienced it at least once.Every visitor, with the excessive dose of adrenaline, can feel the magic of unspoiled nature, with magical and unique landscapes, changes from moment to moment .Find out all the secrets and see the beauty of one of the deepest and most beautiful canyon in Europe. Emerald color, unpredictable temperament, rugged and steep coastline, a large water power and all sorts of underwater obstacles are making Tara river one of the biggest challenges for that its fans can experience during rafting. 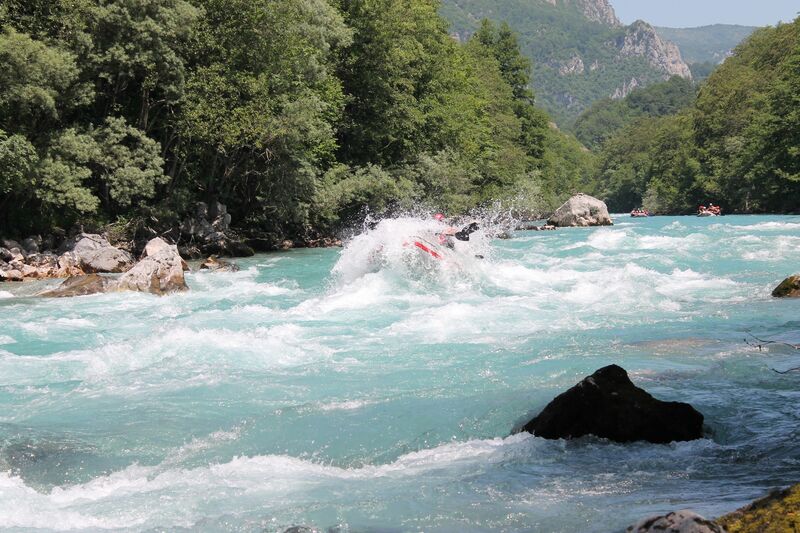 WOW FACTOR: Emerald color, unpredictable temperament, rugged and steep coastline, a large water power and all sorts of underwater obstacles are making Tara river one of the biggest challenges for that its fans can experience during rafting.